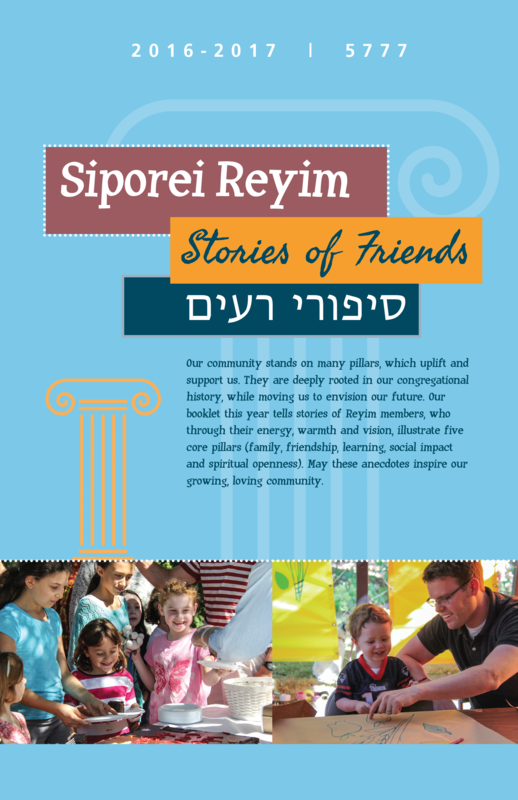 Building on our wonderful storytelling programs such as Echoes, Friday Night "Communities Around the World" and our "Siporei Reyim" High Holy Day publications, we are developing new opportunities to share our stories and learn from each other, particularly across generations. Inter-generational story telling is the heart of Jewish tradition. It not only connects us to our past and future, but it also has a therapeutic element, offering those both telling and listening to stories moments of compassion, companionship, and insight. We have recently begun a storytelling and legacy project. We are focusing on stories of immigration, in particularly how our families came to this country.